Nope, not talking about WW2 efforts. Thought the Occupy Wall Street movement was just for the States? Mais, non! 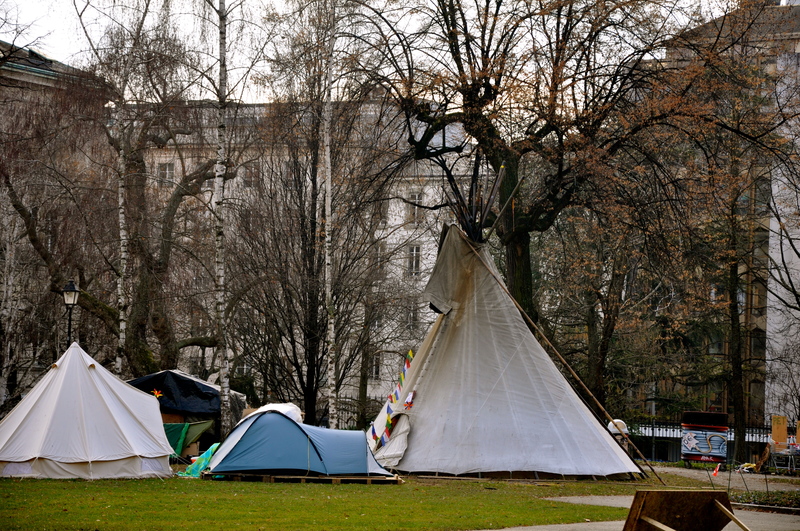 We have our very own Occupy Geneva, camped out in Parc des Bastions. The first time I passed this site on the #12 tram, I had no clue what it was until I saw signs about banking in English…then it clicked….its part of the Occupy Movement. From what I know, most of their protests are against the Swiss banks. Checking out their site, they have a video of using dusters and cleaning cloths to “clean up” the large Swiss banks on Rue de Rhone. When Pascal, Giselle and I took a walking tour of Geneva, shivering every step of the way, we were concerned that they might all freeze to death out in the park. However, taking a closer look, we noticed that, they have hooked up some type of heat. In a city where homeless are kicked and prodded to move along by the police, its kind of interesting that they would tolerate a group camping in this famous park. However, they have some competition for most clever Occupy. 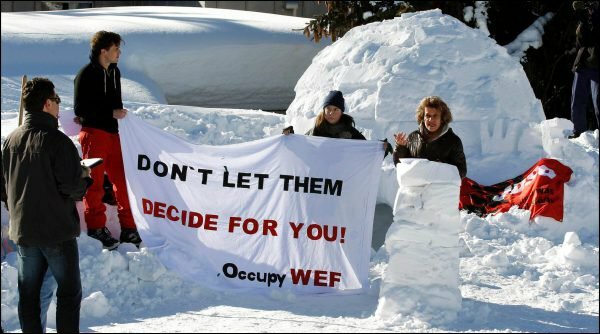 This weekend in Davos, they are going to Occupy WEF in igloos….take a look!